The Science and Technology Foundation was established in 1987 by the Tuscan Region, and by the Province and City of Florence, with the scientific support of the Institute and Museum of the History of Science, to promote and disseminate science and technology, starting with the revitalization and promotion of the historical scientific heritage of the 19th-century Tuscan Technical Institute. The foundation’s purpose is to promote and make available a highly valuable patrimony that has been preserved for over a century in its original location, remaining almost unknown until now. 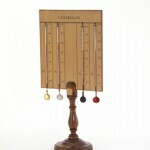 This rich collection, unique in Italy, has more than fifty thousand items including natural history collections, scientific instruments, and models of machines, manufactured products, as well as library collections of historical interest. 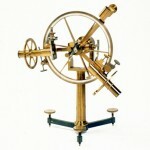 Developing the potential of this priceless legacy, the Foundation intends to promote the ongoing dissemination of scientific knowledge, setting up a new laboratory where the appropriate use of historical equipment will go hand in hand with that of current technologies and modern communication techniques. Inaugurated before the President of the Republic in April 2002, the Florence planetarium is run by the Foundation, together with the Institute and Museum of the History of Science and the Arcetri Astrophysical Observatory. 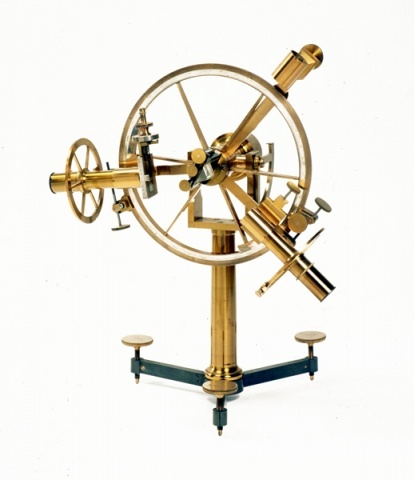 The Collections Formed during the 19th century, the extensive collections have been tenaciously preserved over the course of two centuries by the Galileo Galilei Technical Institute. 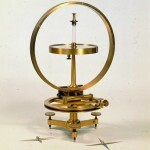 They represent the achievement of an ambitious project that, starting with Galileo’s experimental example, succeeded in establishing in Florence, at the end of the Grand Duchy, the Tuscan Technical Institute: the first important Italian polytechnic institute for science and technology, with its foremost collection of scientific equipment and instrumentation, recognized as being unique in Italy and in Europe. Forgotten for several decades, its collections were rediscovered in the 1970’s, thanks to a growing interest in the history of science. From then, a long and patient effort began to identify, restore, catalog, and preserve them so as to ensure their conservation and valorization. 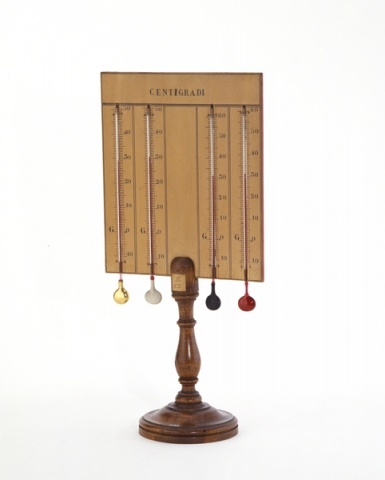 Today, the quantity, quality, and variety of the objects making up these collections constitute a valuable and unique legacy in the fields of the history of science, of technology, and of scientific technical education. The two main core collections are from the Physics Laboratory and the Natural History Department together with the Tuscan Technical Institute’s Museum of Technology. Known and appreciated by an exclusive circle of scholars from various fields, the collections will soon be arranged in a new exhibition accessible to everyone, beginning with the physics collection that has been re-organized in the halls it used in 1891, emphasizing the furnishings and the original character. A favorite place for students, astronomy enthusiasts, and those who want to increase their knowledge and understanding of celestial phenomena, the ZEISS ZKP2 planetarium is housed in a dome eight meters wide and capable of accommodating 54 people. It can reproduce the diurnal or annual movement of various celestial bodies, simulate the sky for any latitude of the earth, and the precession of the Earth’s axis. Motions can be combined in such a way as to display multiple special effects: observing the sky from a space station, the moon, and so on. The equipment was fitted with an additional projection system that allows the use of modern digital technologies. Lessons for schools and dates with the public are held by astronomers from the Arcetri Astrophysical Observatory. Their themes include observing the sky, mythology, astronomy in the Divine Comedy, in the history of art and of science (Galileo), and of course astronomy’s classic themes (the motions of the Sun, the Moon and the planets, nebulae, galaxies, the Milky Way, the precession of the equinoxes, etc.). The Planetarium is located at the Science and Technology Foundation, Via Giusti 29. The Foundation, together with the Institute and Museum of the History of Science and the Arcetri Astrophysical Observatory, has created it and manages the related activities. Le stanze della scienza. Le collezioni dell’Istituto Tecnico Toscanoa Firenze – Fondazione Scienza e Tecnica. Firenze, Artigraf, 2006. Evoluzione dell’Aratro nella Toscana dei Lorena Gori G. (a cura di). Firenze, Polistampa, 2002. L’acustica e i suoi strumenti. La collezione dell’Istituto Tecnico Toscano/ Acoustics and Its Instruments. The Collection Of The Istituto Tecnico Toscano, Giatti A., Miniati M. (a cura di). Firenze, Giunti, 2001. Archeologia industriale – Metodologie di recupero del bene industriale: atti del convegno (Prato, 16-17 giugno 2000) a cura di Laura Faustini, Elisa Guidi, Massimo Misiti, Firenze, Edifir, 2001. Gli strumenti di Fisica dell’Istituto Tecnico Toscano – ELETTRICITÀ E MAGNETISMO, Brenni P. Firenze, Le Lettere, 2000. Gli strumenti di Fisica dell’Istituto Tecnico Toscano – OTTICA, Brenni P. Firenze, Giunti, 1995. Le meraviglie dell’ingegno: strumenti scientifici dai Medici ai Lorena, Gravina F. (a cura di). Firenze, Ponte alle Grazie, 1990. La biblioteca dell’Istituto Tecnico Toscano. 1. Libri antichi: catalogo (1482-1799), Gori G., Misiti M. (a cura di). Firenze, Tipografia Giuntina, 1986. This unit includes an oscillating circuit with four Leyden jars, a spark arrester, and some solenoids. 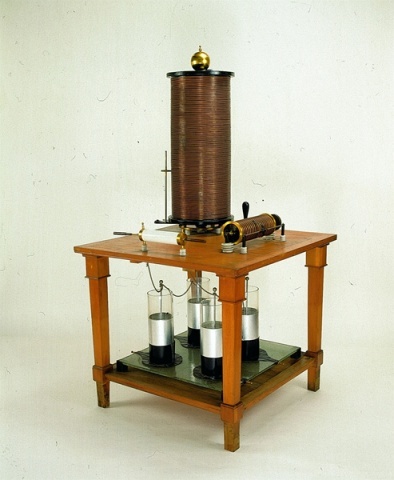 Powered by a large induction coil, it produces high-frequency and high voltage currents known as Tesla currents. 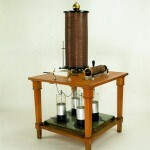 Devices of this type were used in physics laboratories as well as for electrotherapy treatments in medical departments. 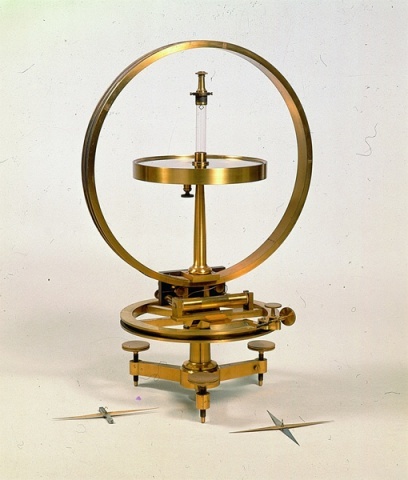 Built by Duboscq in Paris around 1870, this universal instrument could be used as an optical goniometer and, a spectroscope. It also allowed the study of the phenomena of polarization by reflection. 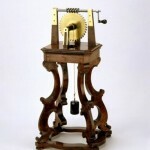 Dating from the early 19th century, this device comes from the Conservatory of Arts and Crafts and is one of the first instruments equipping the Physics Laboratory. Built by Salleron in Paris around 1860. 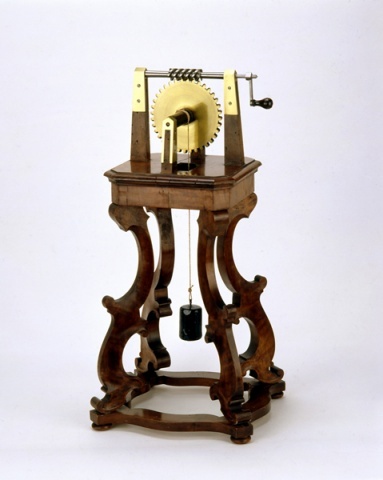 This instrument measures the current along a circular coil at the center of which is a magnetic needle. Knowing the intensity of the Earth’s magnetic field and the size of the coil, the value of the current can be measured by the needle’s deflection. Three alcohol thermometers have bulbs covered with different paints. When the unit is exposed to a heat source, the thermometers indicate different temperatures because of the different powers of absorption by the bulbs’ surfaces. By car: The Science and Technology Foundation is located in a restricted traffic zone. It is best to park your car (for a fee) on Viale Matteotti or at Piazzale Donatello.